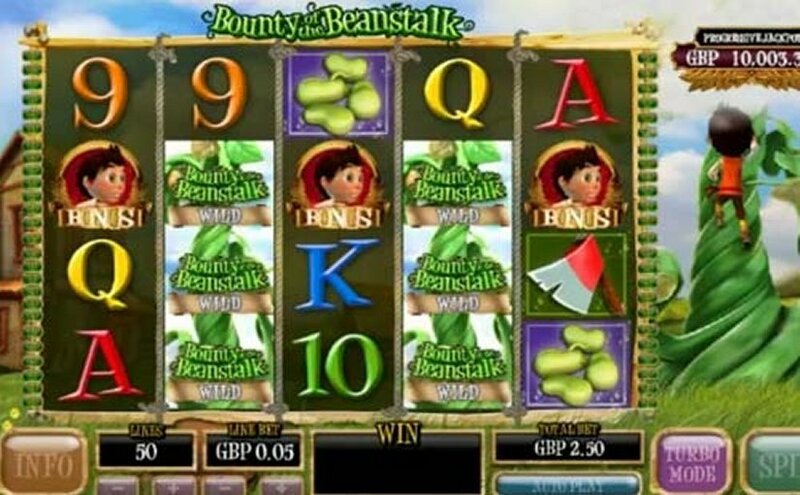 The classic story of Jack and the Beanstalk comes alive on this slot with stunning 3D graphics, charming sound effects and unique features. The free spins give you sticky wilds, and in the bonus round you can choose between different prizes. Walk across the table to pick any of them, but be careful so that you don’t wake up the giant! The progressive jackpot can be yours when you get all the golden items, so try the slot now to turn your magic beans into giant wins!